Love this forum, I read it every day. Just a wealth of information. Might sound silly but if you add PayPal to the donate button I’d be way more inclined to send you server more frequently because I won’t need to add Cc details etc. 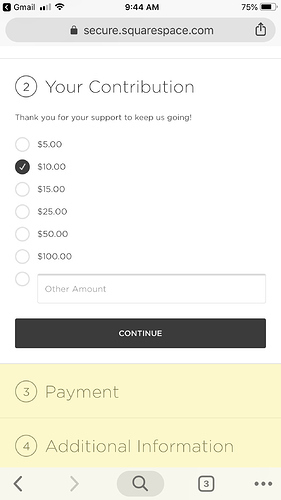 Thanks for the suggestion, we will explore the PayPal option, although it is harder to set it up for donation purposes than Stripe, which is what our website currently relies on for donations. From what we understand, Stripe is equally secure as Paypal, but we understand the extra hassle it requires to enter the CC details in when you already have Paypal. Just noticed that ApplePay support has been added. 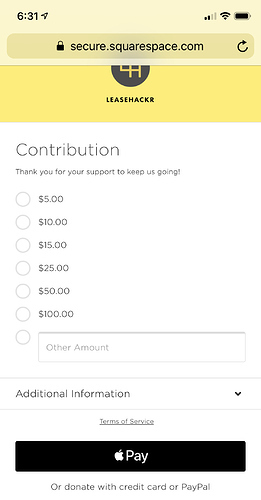 Made it super easy to donate. Hopefully more people will do it now. Thanks @michael and @littleviolette for creating and maintaining this amazing community. Happy holidays!!! I ditto the thumbs up for adding PayPal. Makes so much easier to contribute. Added! Thanks for the suggestion! Sorry to be daft but where is the Apple Pay option? I see only manual CC input or PayPal. What browser is that? Might need to use Safari. @michael and @littleviolette is it possible to add recurring option on the paypal ? I know vistaprint has it so paypal does have the option. Anyway you can add that as well? We don’t have the recurring option set up. We are working on getting one set up.